Providing a personalized payroll service for your business. Instead of spending entire days on payroll, let our team handle all the details! Time is money. Save both with Fourth Street Accounting Solutions. We eliminate the headaches caused by payroll errors and inefficiencies. Managing your company's payroll can take days, even weeks, away from your ability to focus on running other aspects of your business. Processing your own payroll also presents the risks of unexpected errors or discrepancies, which can harm your business! 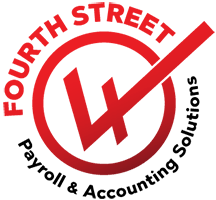 By partnering with Fourth Street Accounting Solutions for your payroll needs, you can save valuable time while gaining the confidence that comes with knowing every single aspect of your finances is 100% error-free. No more headaches. No more stress. Just simple, streamlined, and – of course – accurate payroll solutions. Trust us with the details so you can focus on your business. You can rest assured that Fourth Street Accounting Solutions will see that your employees are paid correctly, on time, and within the confines of the ever-changing IRS rules and regulations. We also ensure that your federal, state, and local taxes are filed accurately and paid on time. It’s no secret that processing payroll in-house is extremely labor intensive.  By outsourcing your payroll to Fourth Street Accounting Solutions, you and your staff can focus on more productive activities — like growing your business! How many hours do your employees dedicate to processing payroll each pay period? Don’t forget to include the time spent on printing and distributing checks, calculating payroll tax deposits, preparing quarterly and annual tax returns, preparing and distributing W-2s and 1099s at year-end, and other such tasks. How much are you spending on hardware maintenance and software fees? If you are currently contracting with one of the big players in the payroll arena, you might be pleasantly surprised by the amount you can save by choosing Fourth Street Accounting Solutions! Our company will likely save you money no matter how you are currently processing your payroll. Custom accruals setup for tracking PTO, Vacation, Sick Time, etc. REAL PEOPLE who know you and your business! Conveniently batch print checks. View and print over 200 types of PDF reports, depending on employer preference. Reports are printed and uploaded automatically to the payroll system after each pay period. Utilize an "Employee Self-Service” portal that permits them to view and/or print paystubs and W-2s. Whether your employees are at work or at home, they’ll have password protected access to review their own specific personal and work-related information, and the ability to update certain information online by logging on to Fourth Street Accounting Solutions’ secure website and using the Employee Self-Service (ESS) application. Their information is right at their fingertips and available to them 24 hours a day, 7 days a week! For more information or questions about ESS, contact our team!